Bad news for bottled Stella Artois fans out there hoping to enjoy a cold one in the near future: the popular pilsner brand just issued a recall due to a "packaging flaw" that may put some drinkers at risk of accidentally sucking down particles of glass. So, just a heads up, it may be wise to stick to canned Stella for the time being. 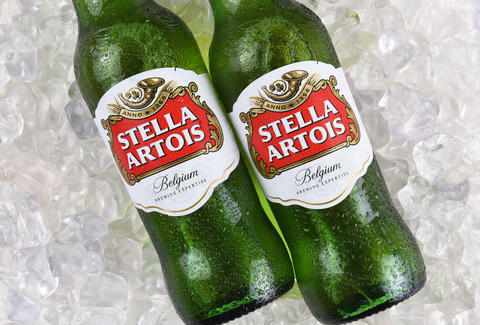 On Monday, the beer company -- currently owned by Anheuser-Busch InBev -- issued a voluntary partial recall of select Stella Artois glass bottle packages sold in the United States, including six-packs, 12-packs, 18-packs, 24-packs, and the Best of Belgium variety packs. According to the announcement, a third-party company that produces some of its bottles was responsible for making some with a certain flaw that "may cause a small piece of glass to break off and possibly fall into the beer." Plenty of things pair well with refreshing light Belgium beer, but glass shards are not among them. The good news is that only a fraction of Stella Artois was affected. "This recall impacts less than 1% of Stella Artois glass bottles sold in North America annually, and affected bottles will be far less than this," the company said in a press release. Also, before you start pouring that six-pack in your fridge down the drain, you can easily check whether you have any bottles from the potentially affected batch. Head to this special website, plug in the "best before" date, timestamp, and package code, and it'll let you know whether it's part of the recall. If what you've purchased is among the potentially affected beer, you can claim your refund by calling the consumer hotline at 855-215-5824. Recalling beer with glass particles in it is evidently fairly common, considering both Corona and Sierra Nevada have had to issue similar ones in recent years, after it was discovered sharp pieces of the stuff were floating around in select bottle packages.